Morgann Davis performing with sttuden. In regards to student flutes with split-E mechanisms, most of my beginners have flutes without. I don't find it too difficult to learn high E for my young students, but I am careful not to give them the hint that E is a hard note. We treat it just like any other high note, and address any problems in producing it by analyzing what is happening with their air and embouchure. 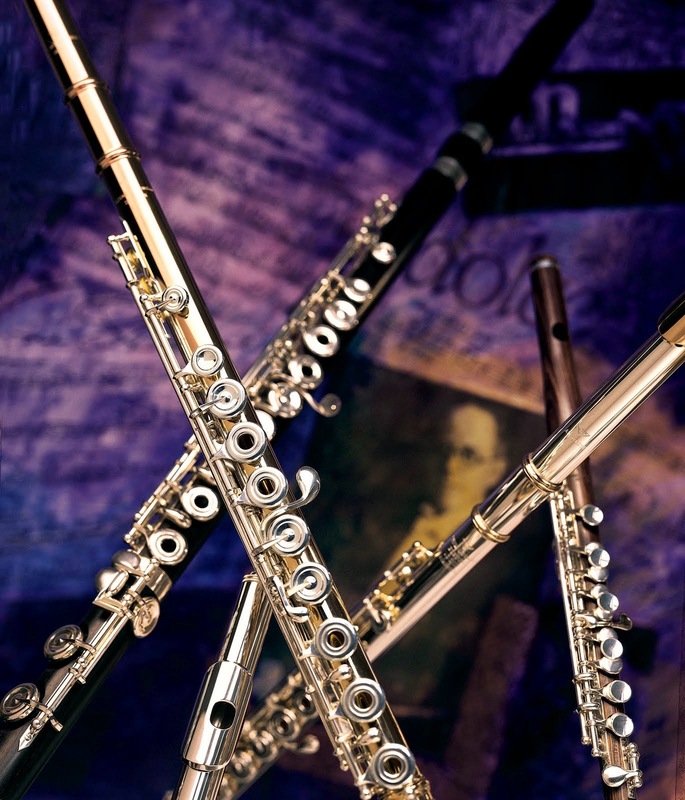 Many young flutists begin on a "hand-me-down" flute, and frequently the flute hasn't been cleaned or repaired for many, many years. Occasionally when a young student is really struggling in a particular register, it may be that their flute needs to be seen by a repairman. 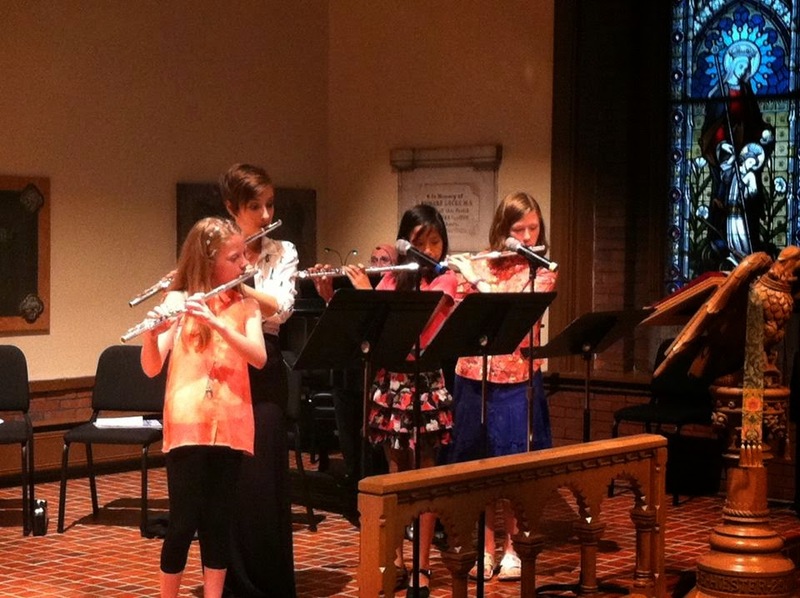 Through my experiences, my preference has become that students learn on a flute that doesn't have one. I'd like for them to learn to produce their best effort without the assistance of the mechanism. If, when they are ready to purchase a new flute, they find through trials that a split E feels better, I believe that is a good time to use it. Certainly each person is different, and for some, the mechanism will not feel like a good fit. Occasionally students will want the split-E because they feel it will fix their high E problems. It's especially important for these students to try flutes with and without the mechanism, and for them to analyze what is different about the Es on both. If you're not used to having it and are switching, you might notice that you can feel the extra mechanism on your right hand and have to adjust your position a bit. Also, since the high Es are easier with the split-E mechanism, you may need to work harder at keeping them from "popping" out if you are used to having to do some extra work to play a good E. I've never owned a flute with a split-E, so I find the right hand feels "clunky" on flutes that have one. Again, each of us is different, and that's certainly just based on what feels comfortable for my hand position.